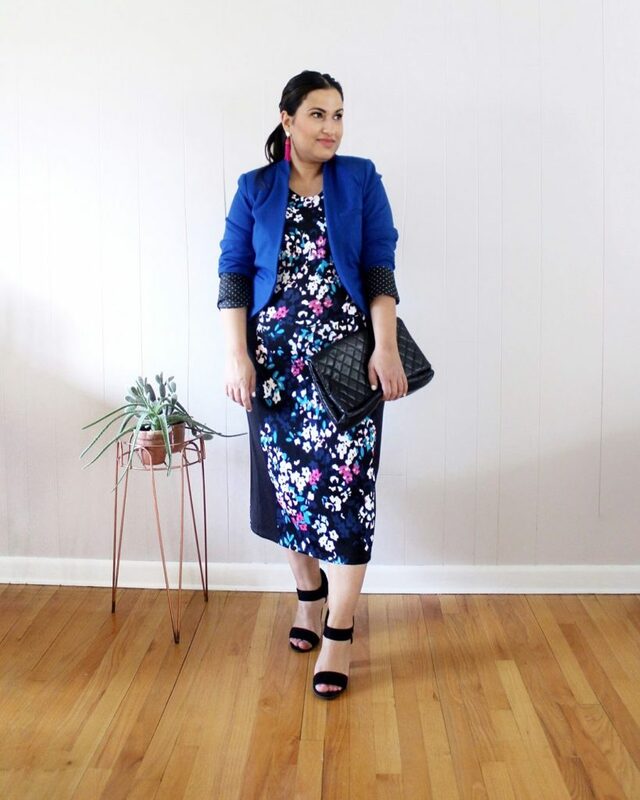 I recently took over the ReStitch.com Instagram page to share how I sales this I Heart Ronson dress 4 ways. This dress was brand new with the $72 retail tags still attached. When I’m online thrift shopping, I always try to narrow it down to items new with tags to score an even better deal! 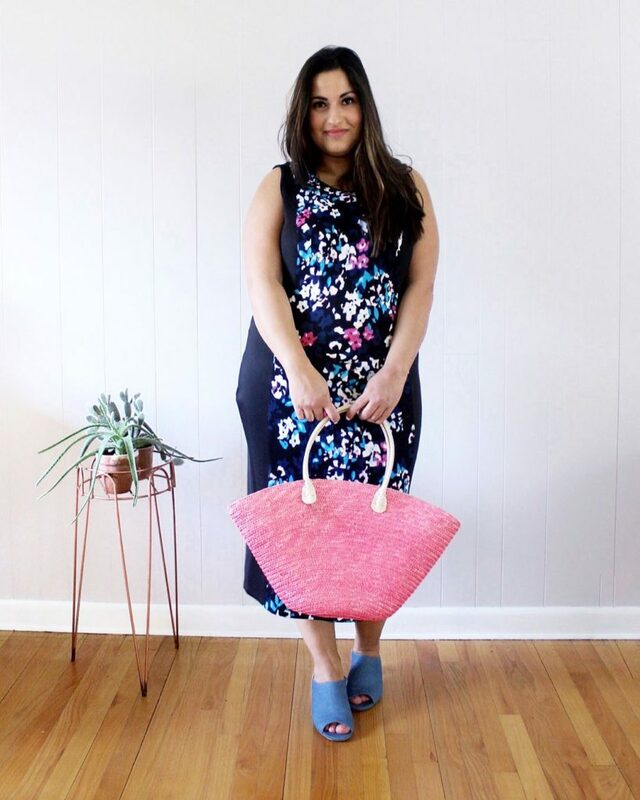 I kept the dress as is, but added a thrifted straw bag and mules for an easy look that I can wear anywhere. This dress does not have to strictly be a career or special event dress! 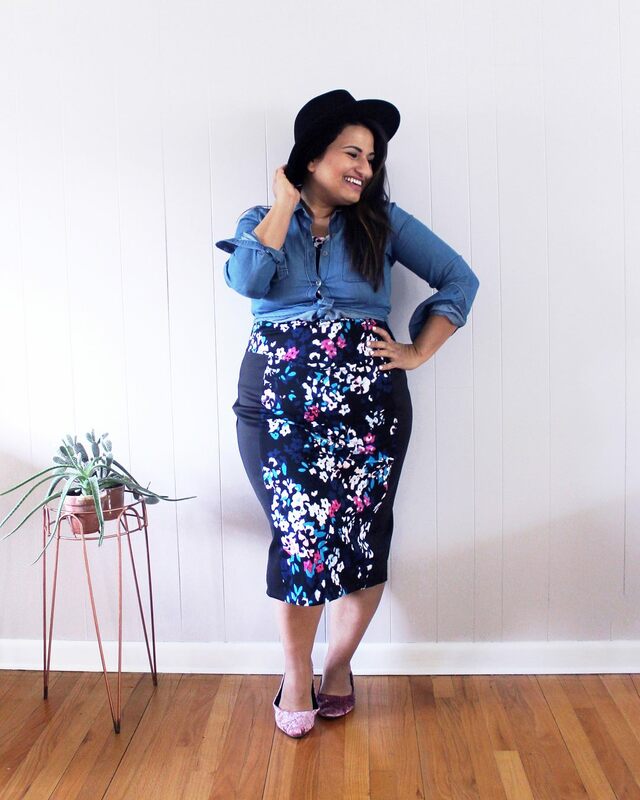 Here I wore a chambray shirt, flats, and a hat for an easy weekend or casual look. Ever turn your dresses into skirts? It’s such a fun way to make the most out of your wardrobe. I pulled the dress up a bit and added a blouse I thrifted for 75 cents. 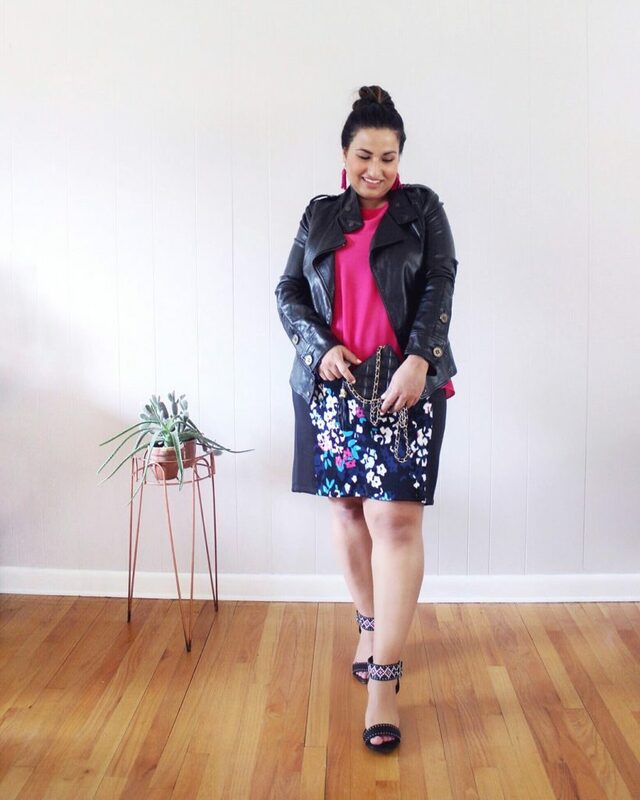 The faux leather jacket and clutch complete this look for a fun night out or date. A blazer, tasteful heels, a simple clutch, and low ponytail is all I needed to make this dress office appropriate. Next time you’re shopping, ask yourself: can I wear this three ways? Can I wear it to three places? If the answer is yes to either one, it’s most likely a keeper!